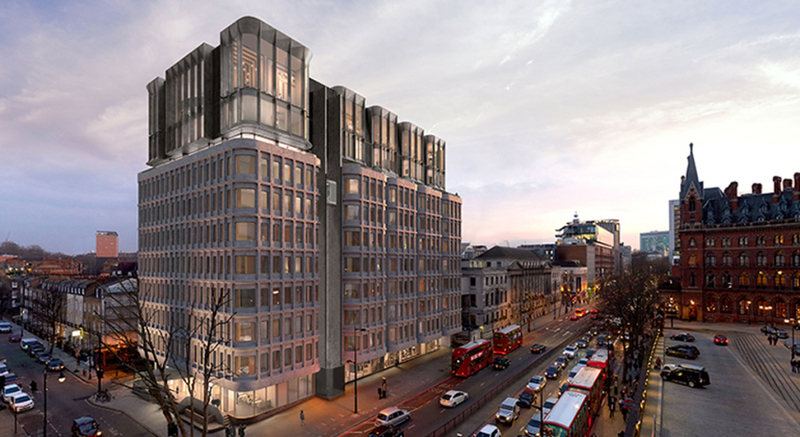 The Standard London hotel opens in 2019. Taking a Brutalist building in King's Cross and turning it into a £20 million five star boutique hotel with 266 bedrooms, The Standard, London is the first hotel from the well known boutique chain outside America. The former council office block, originally built in the 1970s as an annexe to Camden Town Hall, sits directly opposite St Pancras Renaissance Hotel. The whole building has been upgraded, overseen by Shawn Hausman Design, but the biggest change is to the top floors. An external lift whisks guests from the ground up to the 10th floor where there's a destination rooftop restaurant run by critically acclaimed chef Peter Sanchez-Iglesias whose restaurants in Bristol - Casamia and Paco Tapas - are both Michelin starred. Adam Rawson is in charge of the ground floor restaurant which has both indoor and outdoor seating areas and sits alongside Double Standard, the ground floor bar which faces onto Euston Road. Are you booking for a group of people? If you are making a booking for a group of people and require over 10 rooms, you may prefer to speak to the Group Booking Department for The Standard, London bookings. Special deals can be arranged for groups, including discounts and arrangements for adjacent and inter connecting rooms if required. Call the Groups Reservations Department on 020 7292 2307. The best way to book a group deal is to complete the online form for group reservations at The Standard, London. What are the best dining options near The Standard, London London? The Standard, London gyms, sporting activities, health & beauty and fitness. The best pubs near London The Standard, London. The Standard, London clubs, bars, cabaret nights, casinos and interesting nightlife. Where to have your meeting, conference, exhibition, private dining or training course near The Standard, London. From cheap budget accommodation to luxury 5 star hotels see our deals for The Standard, London hotels, including Hilton London Euston Hotel from 73% off.